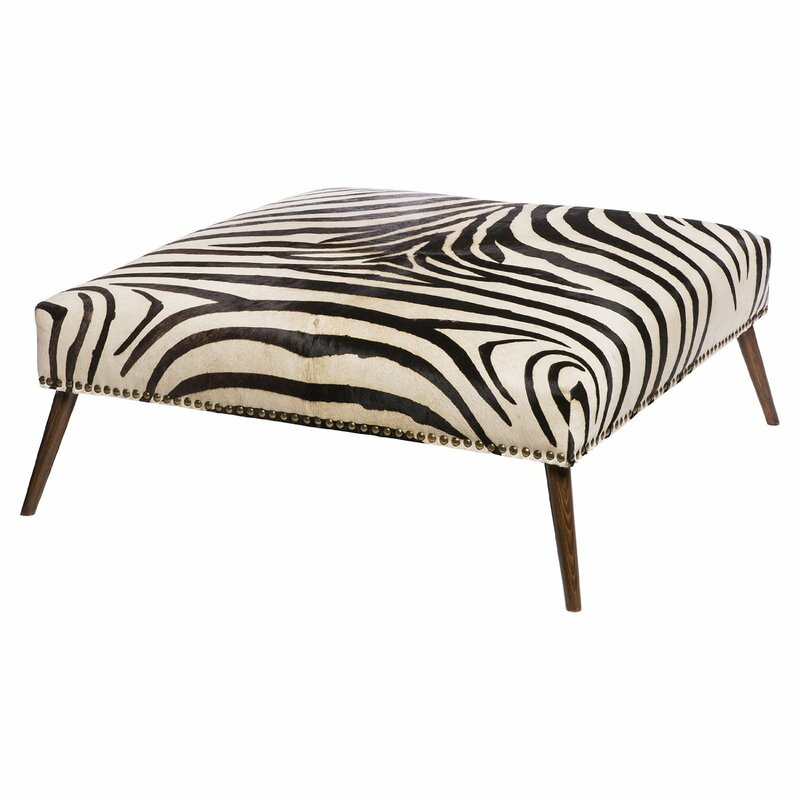 The abstract lines of the zebra print ottoman make for a stylish focal point in any room. A flawless contrast against the walnut finish allows for a lavish addition to any room. Be bold and exotic with this intricate accent piece. Additional shipping options including in room placement, debris removal, stair carries or light assembly is not included in the free shipping program. Please contact us immediately to request any upgraded delivery services for additional fees.